Plot - Story of a two young people one who try to get over from his past relationship and another who try to run away from her past. Ely a young man, who study in Barcelona finds difficult to move on from his past and continuously juggles with his work and studies as his aim is to get his masters degree. On the other hand a girl named Mi, who see Spain as her fresh start. After a series of mistake in her past she want to uprooted herself from her past life in Phillipines and move forward to start a new life. Now see how both of them confronting their past and finding their way. 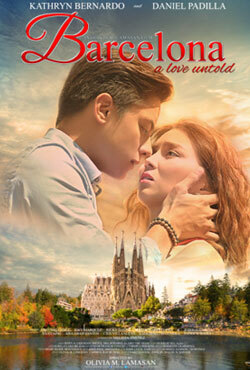 Box Office Earning of "Barcelona: A Love Untold"